I am a firm believer in stocking up on food when it's sale, especially with the threat of food prices climbing this year. This week, there are a few things that I think are worth putting your money into to stock up on. 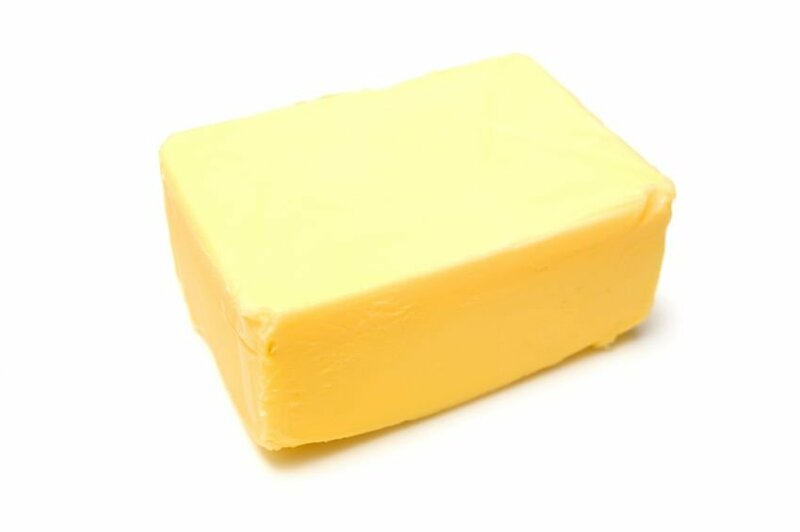 One is butter. It can be so expensive, but this week, Atlantic butter is on sale 2/$7 at coop and Everyday Butter at Shoppers is $3.49lb . My freezer will be getting quite a few added in as we bake a lot with butter. I highly recommend if you use butter, you stock up too. Cracker Barrel cheese is on sale at Superstore this week 500g/$4.99. Another great thing to put in your freezer, just remember to defrost it in the refrigerator and not on your counter, otherwise it will become extremely soft. Did you see something on sale in the flyers that would be a great thing to stock up on? Share it with the rest of us and submit it for posting. What sort of things do you stock up on? I didn't realize you could freeze butter. Do you just defrost it in the fridge? Does it retain its "normal" texture? Great blog by the way! Yes Kate, the butter retains its normal consistency once defrosted. You can defrost it on the counter or in the fridge with the same results. Thanks for the compliment on the blog! Hope to see more of you around here. Super tip! Cleaning out the freezer as we speak. Always try to keep your eyes peeled for deals like this. Best way to save money on groceries. The freezer is a great tool to store foods over time. Cheese however, is a new and very much welcomed discovery item to buy in bulk (when on sale of course) and freeze. Thanks for sharing.